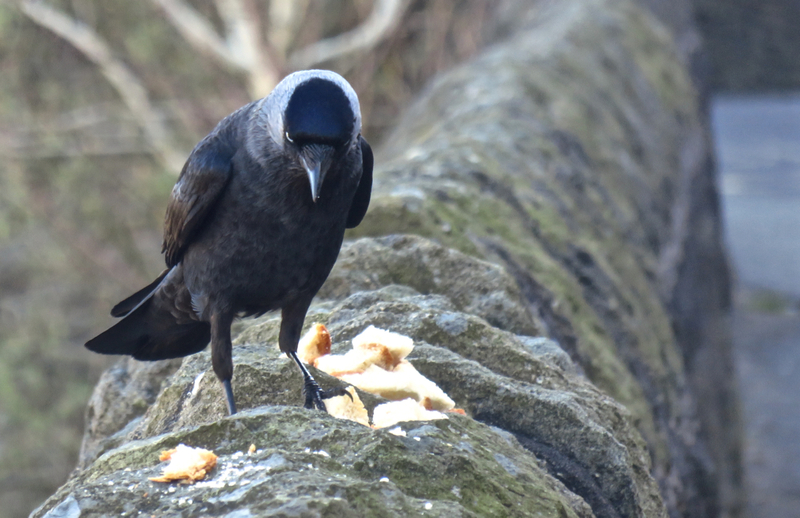 This rook was looking quite butch in the viewfinder but he rather spoils it with the hair poking out of his beak. No, it’s not on my camera lens, or on your computer screen — it is indeed poking out of his beak. 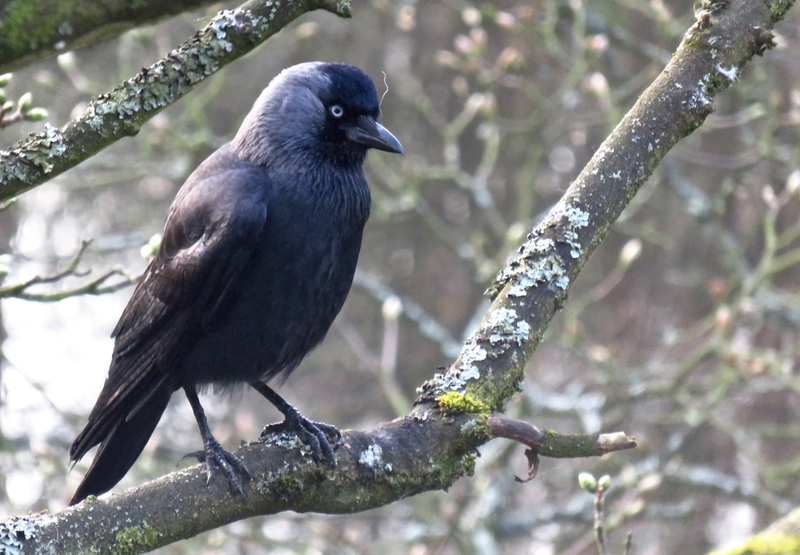 ADDENDUM: Apparently this is a jackdaw, not a rook — my mistake…. 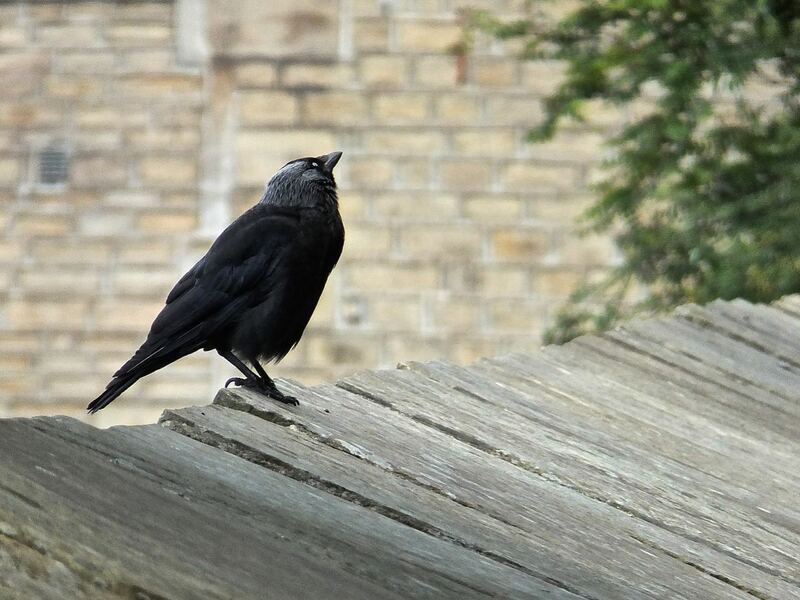 I like the way this bird (which apparently is a jackdaw, not a rook as I originally identified it) looks aspirational, as if it’s seen something up there and (unlike poor grounded humanity) knows that within a couple of seconds it can reach it. I also like the focus and the lines of the slates below it. All not bad going for 6.45am, the first time I’ve done a shot remotely at this time since November. Very little opportunity to take photos of anything today, due to spending almost all of it sat at home working. 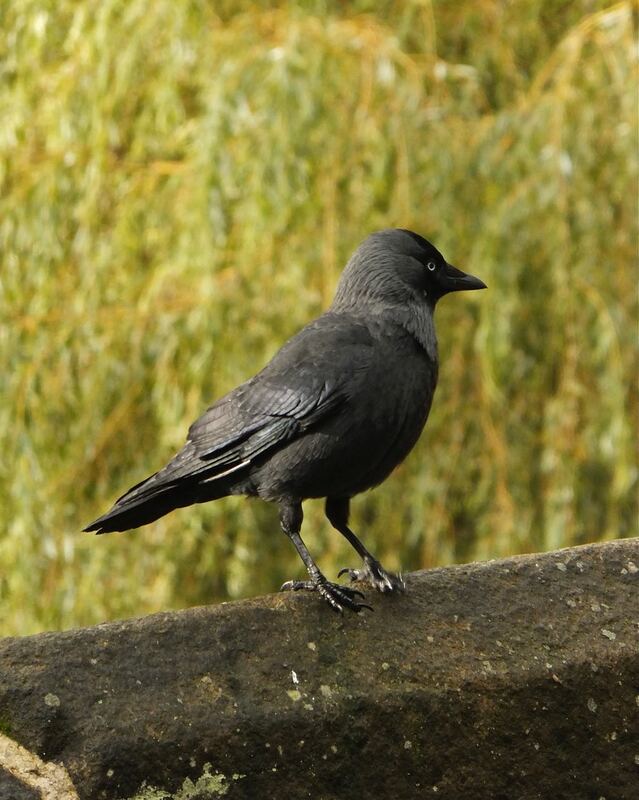 Just as well this rather butch-looking bird was perched on the old bridge in town when I went to pick up Joe from school, therefore. 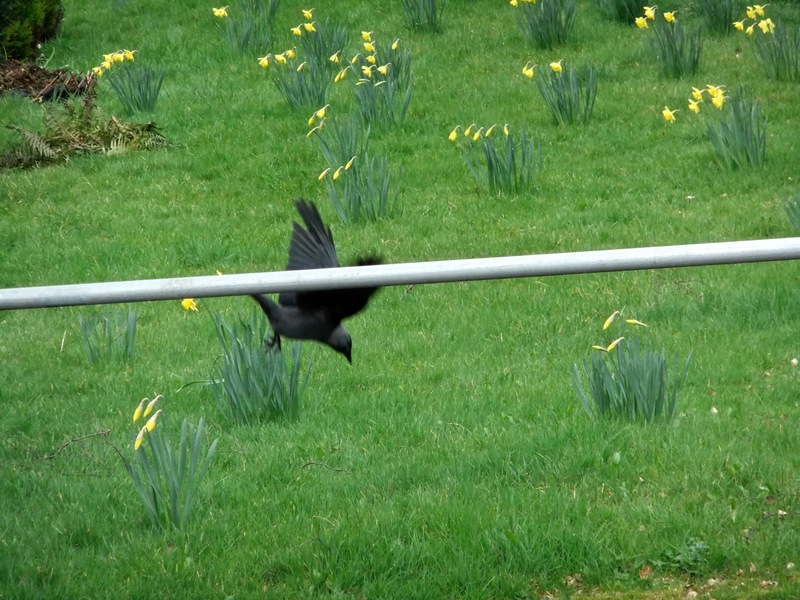 Had this one all lined up, as the bird perched on this fence pole, but then it moved just as I pressed the shutter. Ah well, it’s still interesting, though it might have done the decent thing and flown down to the ground in front of the pole instead of behind it.